Craft malthouse links farmers and brewers in a new supply chain. 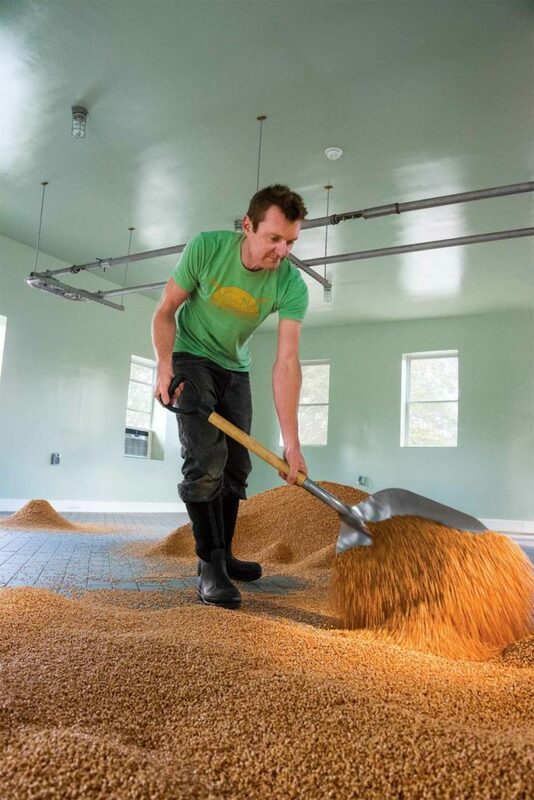 Brewing up a vision of a craft malthouse sprouting local grain in the Northeast, Andrea and Christian Stanley created opportunities for a burgeoning craft brewing industry, as well as for farmers in an area that had hardly seen commercial barley, rye, or wheat production for generations. entire supply chain, says Andrea. The Stanleys, who had moved from Boston, also had to prove themselves. Christian Stanley scoops germinating grain on the malting floor. “Are you a legitimate business that’s going to pay?” was a common question, Andrea says—especially from some New York growers who had been stuck before with unsold crops they had planted for distillers. “We tried to be the best possible customer, taking all the grain, paying high prices, and offering to dry and clean the grain if the farmer didn’t have the infrastructure,” she points out. The Stanleys also ask the breweries and distilleries that buy their malt what they need in terms of quality, style, and quantity, adds Christian. He’s an engineer who focused on the machinery side of the business while Andrea, a former vocational rehabilitation counselor, attended North Dakota State University’s malting class and drummed up supply and demand. Brewer support. 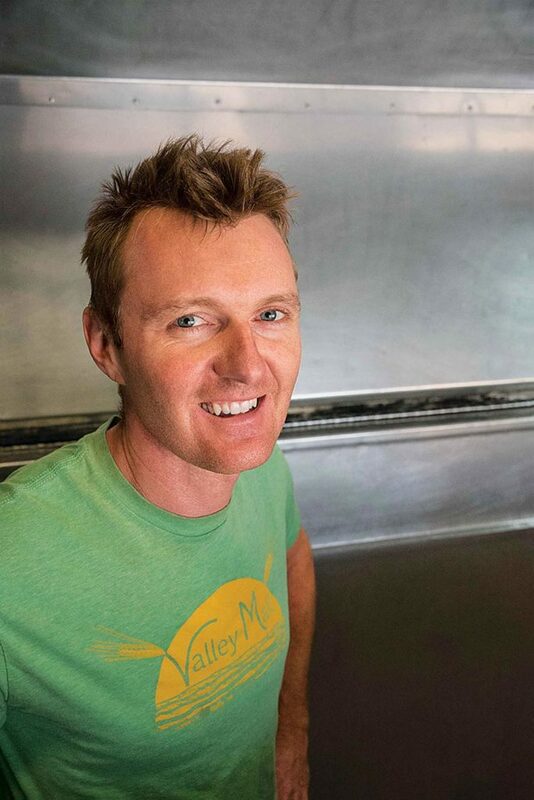 Valley Malt’s commitment to communication resulted in its brewer supported agriculture (BSA) program. As with a community supported agriculture (CSA) operation—in which customers pay vegetable farmers in the winter for shares of the following summer’s harvest—the Stanleys collected $500 each from 10 brewers, along with a sales forecast. Then they passed the seed money to 10 farmers, linking each with a specific customer. The program evolved quickly into a kind of cooperative structure, with brewer money forming a fund that growers could access if needed. Christian Stanley started with a 10-pound mini malter and built Valley Malt’s capacity to 12,000 to 15,000 pounds per week. Today, Valley Malt’s BSA is shifting focus to encourage the development of locally suited varieties that produce high yields, great malt, and low levels of fungi. Those demands are growing. An explosion of craft malters—about 100 at last count—seek varieties beyond northern Plains staples. Meanwhile, Valley Malt remains committed to its business philosophy. Solar-powered containers provide year-round greens. Agritourism goes over-the-top on farms that offer many additional activities.